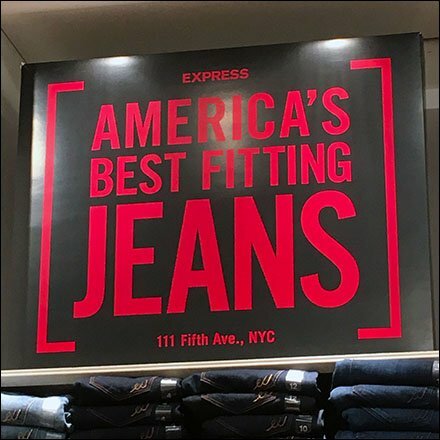 Whether your customers say it or you say it about yourself, Express Branding America’s Best Fitting Jeans (parenthetical included) stakes out the high ground. Also placed high in the store, the proclamation is easily visible across the selling floor. True or not, once said it can’t be unsaid in-store. Step through the gallery for various zooms. Note that the Express® name is so small as to be whispered.